Two weeks ago, I saw an inside bar forming in the ES futures contract chart right in front of me. I pondered over this popular bar pattern. It is one of the most popular two-bar trading patterns and forms the basis of many trading setups including the three-bar inside bar trading strategy, the ID/NR4 trading setup, and the Hikkake. Armed with my Ninjatrader software, I decided to peer inside the inside bar and find out what makes an inside bar tick. We will examine if the following factors affect the performance of inside bars. Within our back-testing period, the winning percentage of inside bars is 37.33% in a sample size of 4107. This number is the benchmark in this evaluation. Our hypothesis is this: High volume inside bars contain more activity which leads to stronger breakouts. “High” is relative, so we compared the volume of the inside bar to that of its preceding bar. In our testing, inside bars with volume greater than 75% of the volume of the preceding bar are considered high volume inside bars. Inside bars with a volume that is lower than 25% of the volume of the preceding bar are considered low volume inside bars. High volume bars outperform the benchmark slightly while low volume inside bars clearly under-performed. Inside bars represent an area of congestion, in which price range contracts. The smaller the range, the more agreeable the traders are. When traders agree, prices stagnate, and breakouts tend to fail. We computed the range of the inside bar as a fraction of the range of its preceding bar. A wide range bar takes up more than 75% of the range of the preceding bar. A narrow range bar takes up less than 25% of the range of the preceding bar. Both wide range and narrow range inside bars out-performed the benchmark substantially. However, the samples sizes are relatively small, especially for narrow range inside bars which gave only 32 trades. If the open-to-close spread is zero, it is the perfect doji. It means that neither the bulls nor the bears are winning. On the other hand, if the open-to-close spread is wide, it means that the inside bar is relatively directional. To determine if a bar is directional, we looked at the open-to-close spread as a fraction of the entire range of the inside bar (high-to-low spread). Candlestick jargon is helpful here. If the body takes up more than half of the whole candlestick, it is directional. If not, it is considered a doji for our purpose. Most inside bars are doji-like bars (2439 compared to 531). The performance of both directional bars and dojis does not differ too much from our benchmark. It is conventional wisdom that the signal bar should support the direction of our trade. 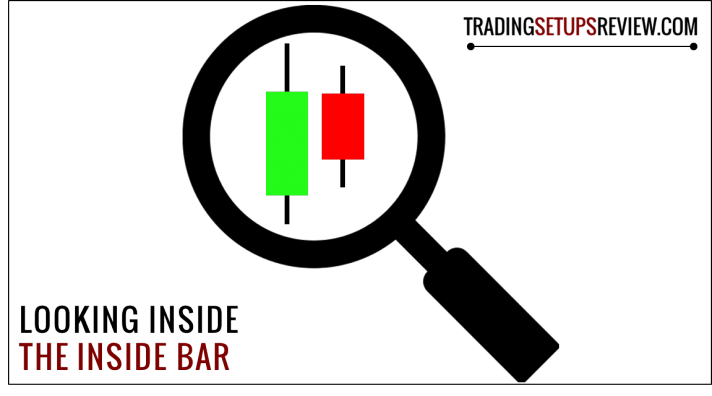 If an inside bar closes higher than it opened, it is a bullish bar suited for long trades. This is because it shows momentum in our favor, confirming that the trend is with us. Hence, we restricted our long trades to only bullish inside bars, and short trades to only bearish inside bars, to have our signal bars support our trades. We also tested the reverse. The conventional wisdom is right. Choosing inside bars that support our trades is a better trading strategy. What Is Inside The Inside Bar? Our testing revealed that wide range inside bars (with range more than 75% of the range of the preceding bars) outperformed our benchmark by the largest margin. These are bars that barely make it as inside bars and represent only a slight contraction. We also found that inside bars that closed in our trade direction and those with higher volume seems to have an edge. Inside bars that support our trades did considerably better than inside bars that did not. The open-to-close spread did not show a significant difference when compared to the benchmark. We focused on wide range inside bars that closed in the direction of our trade and ran our test again on several other futures contract to see if our results are robust. The results are encouraging. Most of the futures contracts show an improvement of over 8%. It implies a significant edge in the competitive field of day trading. Of course, I must emphasis the naive and simplistic assumptions we made. This includes the 1:1 risk to reward ratio and using the 20-period EMA as a trend filter. 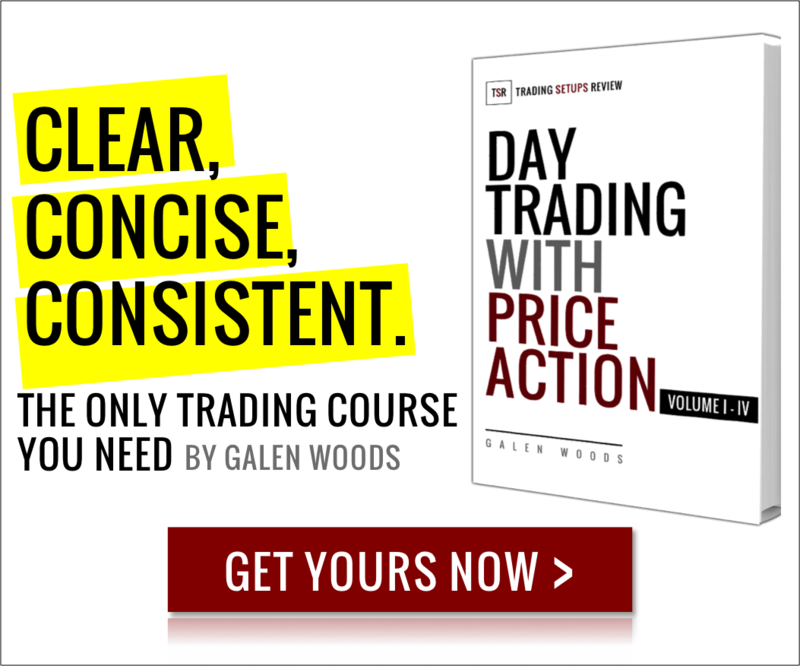 Our results are not meant to be used in isolation as a complete trading system. However, this is a good start to understand more about inside bars that occur in day trading time frames. At the very least, for my trend trades, I am going to pay more attention to wide range inside bars that closed in my direction with increasing volume. I am not a quantitative finance buff. So this is not a rigorous academic paper. I am just a curious price action trader playing with his Ninjatrader back-testing function. What’s your experience trading inside bars? Share with us.